Narrow streets and drivers changing lanes without checking their blind spots can lead to sideswiping collisions. To protect yourself against these accidents, stay aware of your surroundings on the freeway and multi-lane streets and avoid drivers behaving erratically or zipping in and out of traffic. According to the National Highway Transportation Safety Administration, over a quarter of all auto accidents are the results of rear-enders. Most of these accidents occur as a result of distracted driving - texting, talking on the phone, or simply not looking at the road can result in a rear-end collision. Remember, when you're driving, stay alert and keep your eyes on the road at all times. These types of accidents typically happen as a result of drivers ignoring or failing to see traffic lights and hitting another car in the process. To protect yourself against T-bone collisions, invest in a car with side-impact airbags and avoid jumping traffic lights or stop signs at intersections. 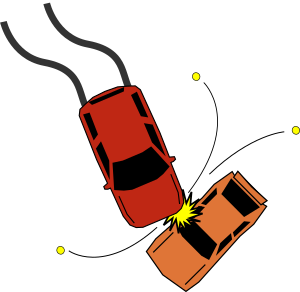 Other drivers attempting to cross intersections as the light changes can cause these accidents. If you've been injured in a Seattle area traffic accident and want to seek justice for your injuries, contact the offices of David S. Roth. Our legal team can help you seek recourse to help pay for your medical bills and restore your peace of mind.